Since the Pack 611 charter begins on November 1st, new Cub Scouts may pay a prorated fee for the remainder of the year, depending on when they register. For questions about completing the application, or about the Cub Scout Program, please contact us by clicking on Contact Our Pack. See our Join Scouting Night flier attached below! Fill out an application form and submit to Pack with a check. Cub Scout Packs are volunteer lead. All Adult Leader applications must be turned in face to face. BSA now does online applications. Click on the link below to fill out all of your information and submit your payment per the Dues information below. Please be sure to "Contact Our Pack" above after you complete your application so that we can properly track it and get you and your Scout into our systems as soon as possible. For any boy currently in first through fourth grade, the Boys would officially become a scout as soon as an application and check are turned in. They are able to participate in any Scout camp or pack activities. 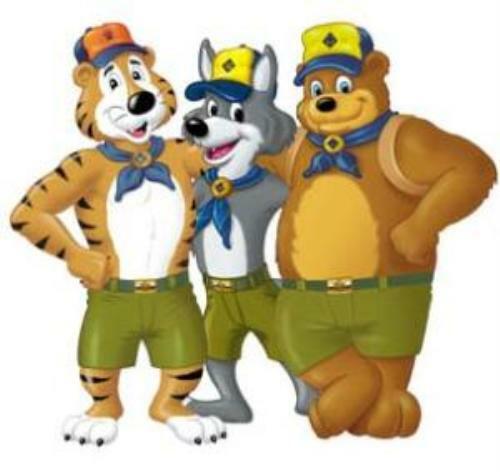 For any boy currently in kindergarten, the earliest the boy could become an official Tiger Scout is June 1st. Applications and checks can be turned in prior to this date to ensure his quick registration. After June 1st, they may participate as an incoming Tiger with their Adult Partner in any National, District or Pack activity. Annual Registration (the Pack is registered from Aug-July. NOTE: 10% of personal Popcorn Sales goes into a Scout account which can also be used for future dues, camps, and other scouting related expenses. BSA MembershipInsurance for Scout during approved Pack Events. All Rank Badges, Pack patches, pins, belt loops achieved, Pinewood Derby car, trophies, and Rain Gutter Regatta boat are supplied from the pack dues. A subscription to “Boy’s Life” is optional. To help offset a portion of some Pack Events the pack will be participating in the annual popcorn sales program through TrailsEnd*. * Note: Scout families are expected to participate in Pack Fundraisers. The Scouts will have the opportunity to earn money through fundraisers to put into an individual account to help offset the costs of Summer Camp or directly related Scouting costs.